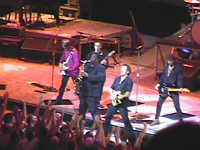 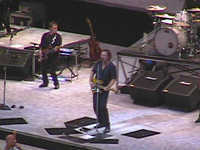 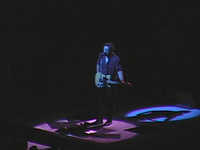 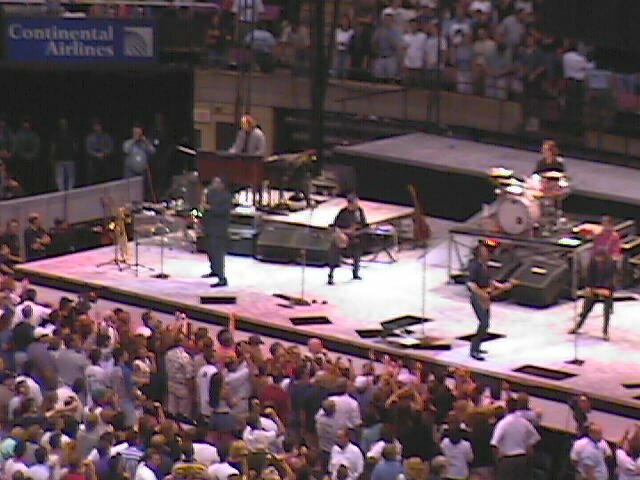 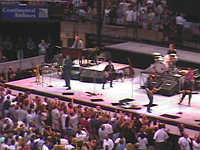 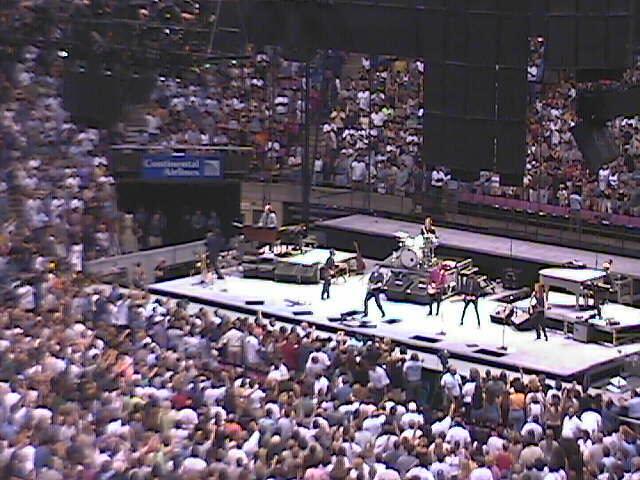 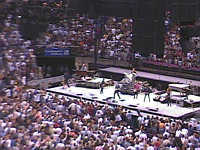 I went to see Bruce Springsteen at the Brendan Byrne Arena (aka "Continental Arena") in New Jersey. It was a great show, and he played one set plus two encores (total time: a little less than 3 hours). He played with the newly-reformed E Street band, which included Clarence Clemons, Steve Van Zandt, Nils Lofgren, Garry W. Tallent, Patty Scialfa, Roy Bittan, Danny Federici, and Max Weinberg. Here are some pictures from the show which I took secretly with my digital camera. 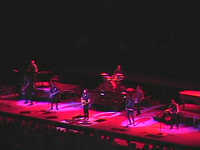 Click on the pictures to get a larger size.